A benefits cheat who dishonestly siphoned off almost £12,000 from the public purse has been handed a suspended jail sentence and ordered to pay the money back. Tracy Miller, of Pilsley, near Chatsworth, was overpaid £11,819.17 between May 2011 and October 14 2013 by Derbyshire Dales District Council after she dishonestly claimed housing and council tax benefit. 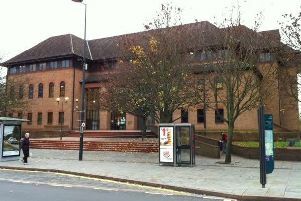 The 43–year–old pleaded guilty at Chesterfield magistrates’ court to eight charges of making false representations in two separate benefit claim forms and dishonestly failing to declare changes to her circumstances. She declared in an initial claim form for housing and council tax benefit submitted in May 2011 that she was single with one dependent child and did not own or jointly own any property. Miller submitted a change of address form in January 2012 and again declared she was single. Following an anonymous tip–off that she was married, the district council carried out surveillance and discovered she had lived with a partner since the start of the claim and had married in September 2012. In addition, Miller jointly owned a property with an ex–husband and had received almost £26,000 from the sale proceeds. The authority also found that her latest job generated a significantly higher income than the one she had declared to them. In court on Friday she was given a 16–week jail sentence, suspended for two years, and ordered to undertake 100 hours of unpaid community work. Miller was also ordered to repay the benefits money and £765 court costs. She is now paying the cash back to the authority at a rate of £75 a month. Commenting after the sentencing, a Derbyshire Dales District Council spokesman said: “The district council adopts a zero tolerance policy to benefit fraud because it is not a victimless crime – benefit thieves take money intended for the most vulnerable in our society. “We rely on anonymous referrals from the general public to enable our staff to successfully investigate and bring those guilty of offences to justice.